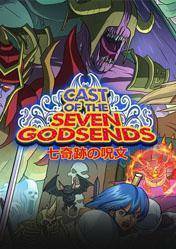 Buy Cast of the Seven Godsends cd key for PC in digital version at best price is already possible through Gocdkeys! Check best prices for Cast of the Seven godsends for Steam in any of the online shops registered in our price comparison. To activate the download from Steam, you must add the digital code of Cast of the Seven godsends in your user account. Cast of the Seven godsends is a platform game set in a fantasy world where the evil emperor Zaraaima kidnapped heiress Dareca land, so our mission is clear, through all types of levels (dark forests, swamps muddy, infernal volcanoes, snowy mountains and demonic castles ) for saving the life of the princess. For this mission, our hero will have five basic weapons to master, with its own characteristics and seven sets of armor that will protect us from the enemy armies. We also have at our disposal about 35 different spells and points to increase our abilities. The graphic style is typical of the 16-bit games and an amazing soundtrack. Remember that all stores appearing in gocdkeys have been tested by our team so they are 100% reliable, even so, we recommend you read the instructions on shipping times, ways of activation and payment methods. There are no comments yet about Cast of the Seven Godsends . You can be the first one! Un Primo Sguardo a "Cast of the Seven Godsends"
Cast of the Seven Godsends Gameplay Walkthrough part1 .